Located in the Musaffah Industrial Area, the port is famed for being home to a 53 km Musaffah Channel, which is the second longest channel in the region, after the Suez Canal. 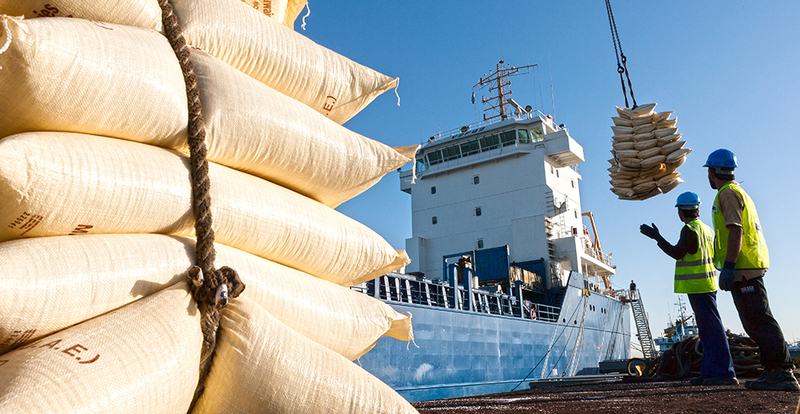 Musaffah Port offers a general cargo terminal with a wide range of facilities such as break-bulk and RoRo operations. To enhance its offerings, the port facilitates cargo operations and provides warehousing for multiple industrial and commercial sectors including steel, dredging, shipbuilding and offshore construction. The port is also home to the state-of-the-art Abu Dhabi Ports Maritime Training Centre, which provides internationally-recognised training for maritime professionals of the future. In 2011, the Urban Planning Council announced the historic handover of the new AED 1.5 billion Musaffah Channel to Abu Dhabi Ports. With a maximum width of 200 metres, and a maximum depth of nine metres, the channel provides two-way vessel traffic for large Panamax-type bulk carriers. Abu Dhabi Ports is also responsible for the provision of pilotage and berthing assistance tugs, thus guaranteeing the highest service standards to all Musaffah Port users.